3D CNC router can be used for Stereo 3D technology, furniture stereo feet and the cylinder, the human body, figure of Buddha, the goddess of mercy, sculpture, handicrafts, stair handrail, cylinder Musical Instruments. 3D CNC router can handle 3D engraving on stones, woods and jade, achieve dimension engraving. Huge range of engraving enables 3D CNC carving machine to satisfy the needs for furniture and gift manufacturing. 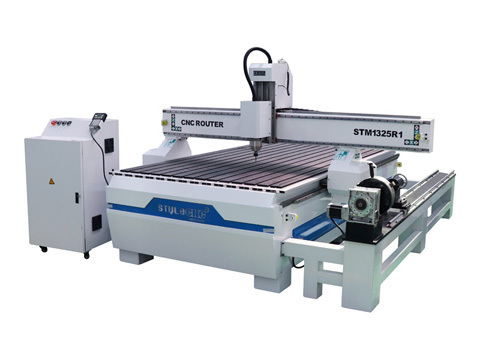 What are the features of 3D CNC router? 1. 360 degree 3D CNC carving expands the application of CNC router and satisfies the demands in furniture and gift making industry. 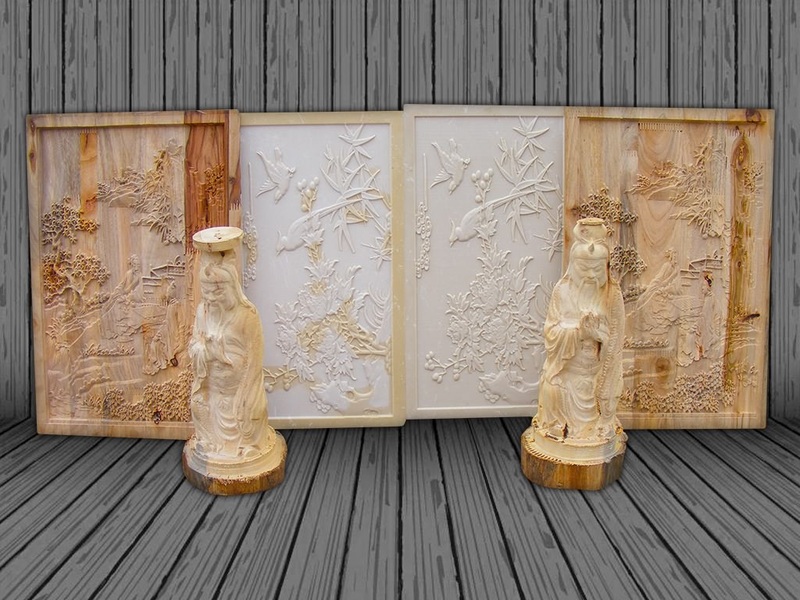 License: The text of "3D CNC router for wood relief carving projects" by STYLECNC is licensed under a Creative Commons Attribution 4.0 International License.